The most anticipated and much awaited devices of the year, the Apple iPhone 7 and iPhone 7 Plus will be launching in India on October 7. And just a week before the launch date, both the iPhones are now available for pre-order in the country on Amazon India and Flipkart. 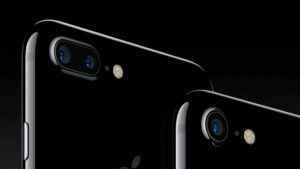 The new iPhone devices will come in five colors that are Silver, Gold, Rose Gold, Matte Black and Jet Black. 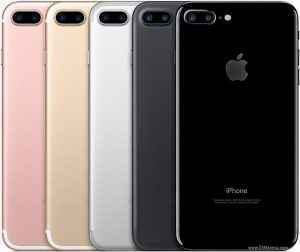 Starting with the iPhone 7, the 32 GB, 128 GB and 256 GB variants will be priced at INR 60,000, INR 70,000 and INR 80,000 respectively. Now, the iPhone 7 Plus, the 32 GB, 128 GB and 256 GB will cost INR 72,000, INR 82,000 and INR 92,000 respectively. As confirmed earlier, Apple will launch the new iPhone devices in India from October 7. Along with the new iPhones, company will also launch the new Apple Watch Series 2 smartwatch and the all new wireless earphones, the AirPods. Both Amazon India and Flipkart have unveiled pre-order offers for the smartphones. On Amazon, the company has detailed exchange offers along with a full list of eligible phones. Those who use the exchange offer will get additional cashback worth INR 4,000 in the form of an Amazon Gift Card. The company has also unveiled a ‘no cost EMI’ option, and those that opt for this will get cashback up to INR 8,000 as an Amazon Gift Card. Customers who pre-order the smartphones on Amazon and sign-up for a 1-year Amazon Prime membership get a INR 500 Amazon Gift Card. Another offer (which lasts till October 14) for iPhone 7 or iPhone 7 Plus buyers who download and sign into the Kindle app will get 80 percent off on Kindle eBooks (up to a maximum of INR 1,000 Kindle store credit). The same offer extends from October 15 to October 30, but the maximum store credit will be reduced to INR 300. As for Flipkart, the company is detailing an exchange offer that can give a discount of up to INR 24,500 on the price of the smartphones. Those who use Citibank credit cards will get cashback up to INR 10,000. This year’s iPhone devices are coming with a lots of new exciting features such as the dual-camera setup, IP67 water and dust resistance, new quad-core Apple A10 Fusion processor, a new 6-core GPU which is 50% faster than the Apple A9 processor, two new colors, the Jet Black and the Matte Black and much more. For full specifications and features of the upcoming iPhone devices, click “here“.